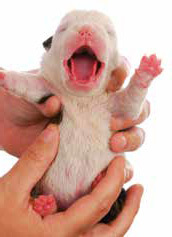 If you are either a breeder or a pet parent, arrival of a litter of newborn puppies will always be an excitement! But it’s vital to know how to take care of the newborns. Let’s see how. Canine pregnancy is unique among all domestic pet animals as whelping, an act of giving birth, in dogs is longer in duration than others. The duration could be ranged from 6 to 8 hours on an average, but could be upto 24 hours depending upon the litter size. Mother dogs will exhibit nesting behaviour, restlessness, floor scratching and greenish black vaginal discharge as signs of approaching parturition. There will be a drop in rectal temperature of the dog about 24 hours prior to parturition. In general, average litter size in canines can be ranged from 1 to 12 puppies, depending upon the breed. Greenish vaginal discharge or appearance of the first water bag can be considered as reliable signs of commencement of parturition. Each puppy is delivered at about half an hour to one hour interval. If a delay in expulsion of puppies or any other problem occurs at the time of parturition, immediate veterinary assistance should be sought. 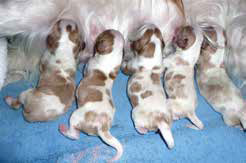 Newborn puppies are delivered with fetal membranes covered all over the body. The mother dog usually tears off the fetal membranes and facilitates breathing in the neonates. If the dog is not caring her newborns, it is the duty of the breeder to break and clear the fetal membranes from the face and the body of the neonates. The neonate is then vigorously rubbed over his back with a towel to stimulate respiration. The head of the neonate is kept in a downward direction in order to drool out the aspirated fluids from the nostrils. Traditional method of swinging or shaking the puppy is no longer practiced because of the risk of cerebral trauma. As the neonate begins to breathe normally, the umbilical cord is legated at about two cm from the body, the cord is severed and antiseptic lotion is applied at the broken end. The neonate is then dried either by wiping with a towel or by using a hairdryer. Canine neonates are poikilothermic, which means they are not able to maintain body temperature by themselves, they depend on environmental temperature to keep themselves warm. Warmth can be provided by placing the neonates over warm water bottles covered with a towel or a 40 watt electric bulb. Environmental temperature should be maintained at 30-33°C for the first 24 hours and later brought down to about 26-30°C within 4 to 6 days. If the temperature is too high for the neonates, they tend to move away from the heat source and if the temperature is low, they tend to cuddle together as ‘puppy piles’. A healthy canine neonate appears to be active with pink mucous membranes and will crawl around in search of heat. They are born with their eyelids and ear canals closed and will open only at about 10-14 days after birth. During this time neonates solely depend on their mother for nutrition. It is always necessary to provide colostrum, the first milk which is rich in nutrients and antibodies, to the neonates within half an hour after birth. The colostrum is rich in proteins and other nutrients and also contains maternal antibodies that provide sufficient immunity to the newborns. The puppies should be fed at two hour interval if they are not kept with their mother. Since puppies represent the economic part of dog breeding, reducing the neonatal mortality eventually increases the financial return of the breeders. 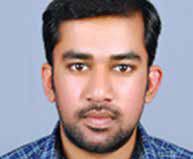 So, the success of a breeder depends on the neonatal care that he provides to decrease neonatal mortality. 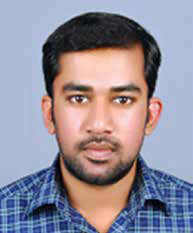 (Dr Karthik V Kuttan is Deputy Manager (AH), Kerala Livestock Development Board, Kolahalamedu, Idukki, Kerala).